Qatar Airways is still currently holding its “Last Minute” sale where fares to Europe, Africa and the Americas can be had for as low as S$679. This sale ends tonight, 10 June 2018, so if you’ve been putting off your flight bookings on Qatar Airways for your holiday, you only have a few more hours to take advantage of this fare sale. I covered this sale earlier on in the week and you can read more about it here. There’s also another sale happening concurrently over at Qatar Airways which is their sale to the new destinations that Qatar Airways will be flying to. This sale will end on 15 June 2018, I’ve covered that in last week’s edition of the Weekly Airfare Deals Roundup so you can check it out here. Emirates is still running their sale until 18 June 2018 where fares to the Northern Hemisphere can be had for as low as S$929. Australia, Colombo and Dubai are also on offer during this sale. I have covered more details about this sale in last week’s Weekly Airfare Deals Roundup so you can check it out there. If you’ve already decided on your travel plans with Emirates and have yet to book your tickets, you can book your tickets in the link below. Etihad is currently having its Weekend Special sale which ends tonight. 10 June 2018 where round trip Economy Class fares to Abu Dhabi start from S$719 and fares to Europe start from S$1,099. Tickets bought during this sale are valid for travel from now until 31 January 2019. You can view the full list of destinations on offer here. From the Singapore to Abu Dhabi leg of your journey, Etihad Airways operates their Boeing 787-9 Dreamliner and Economy Class is laid out in a 3-3-3 configuration on that aircraft. If your onward connecting flight is on their A380, the seat would be exactly the same. 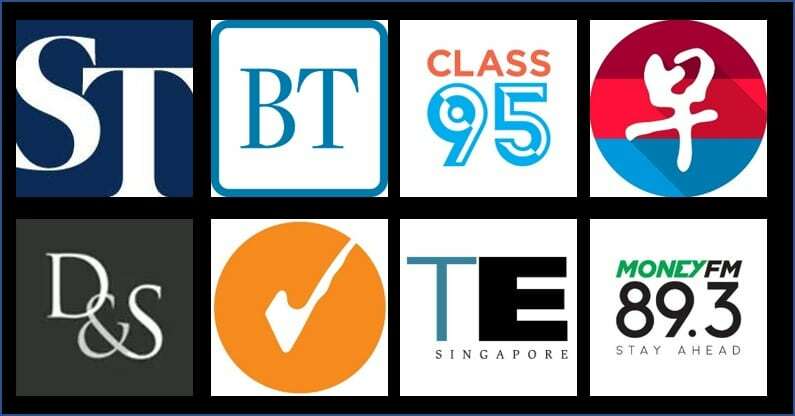 Malaysia Airlines is currently having its Mid-Year Deals sale from now until 17 June 2018 where there are some excellent Economy Class and Business Class fares on offer. Tickets booked during this sale are valid for travel from now until 31 May 2019. So there’s really no time like the present to plan your holidays for the first half of 2019. You can view the full list of destinations on offer here. In this sale, fantastic fares to various destinations are on offer. My personal picks would be a Business Class fare from Singapore to London Heathrow starting from S$2,768. That’s staggering value in my books. 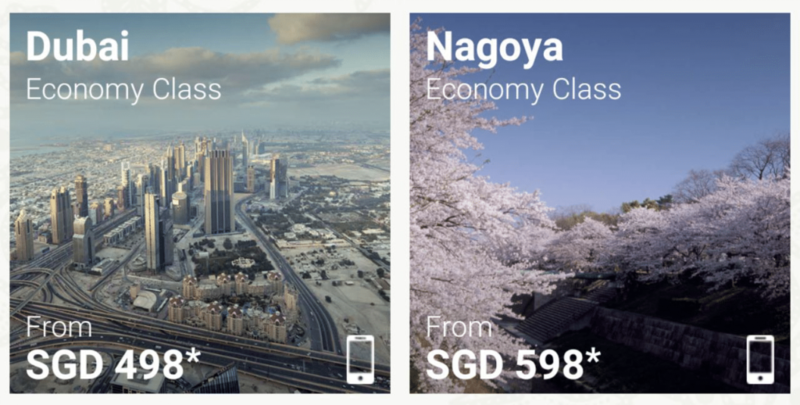 Tokyo is also back on sale with Business Class fares from S$1,470 which isn’t the lowest we’ve seen it go for. Economy Class fares are also legit with fares to Taipei starting from just S$306 and Bangkok starting from just S$157. That’s a great fare in my opinion. Malaysia Airlines primarily operates their narrow body aircraft for flights around the region with Economy Class laid out in a 3-3 configuration on their Boeing 737s. If you’re flying to London or Tokyo in Business Class, it is laid out in an alternating 1-2-1 and a 2-2-1 layout on the A330-300s and A350s. 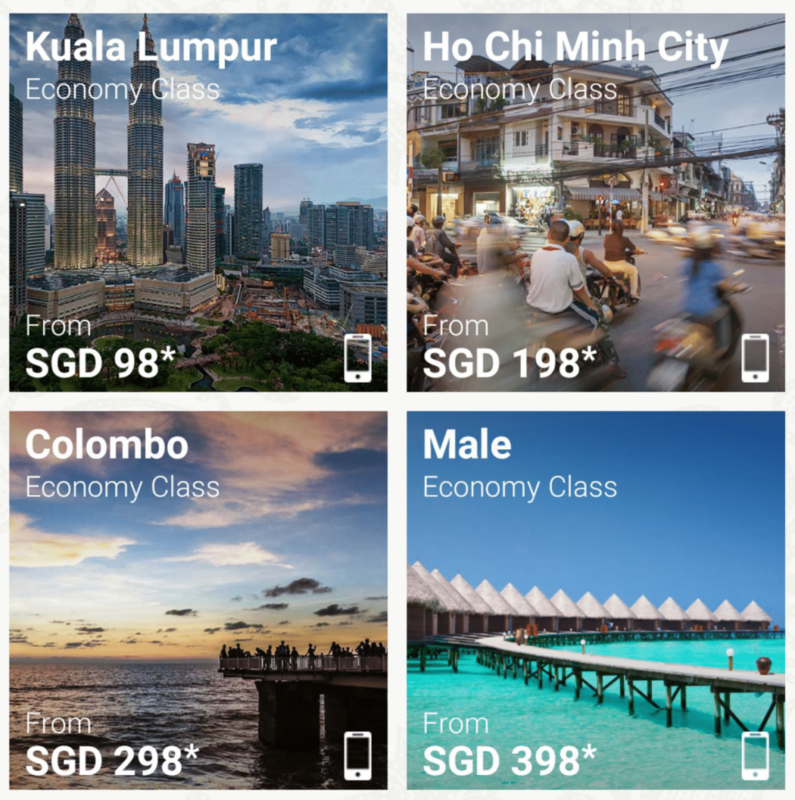 Singapore Airlines is currently running a sale where its offering app-exclusive fares to select destinations. You can view the list of destinations on offer on the Singapore Airlines app. Some of the destinations which are on sale are Kuala Lumpur from S$98 round trip and Maldives from S$398. These app-exclusive fares are bookable until 30 June 2018 on the Singapore Airlines mobile app. Air France and KLM are still holding their joint sale which runs until 18 June 2018. You can view all the destinations on offer for Air France here and on KLM here. 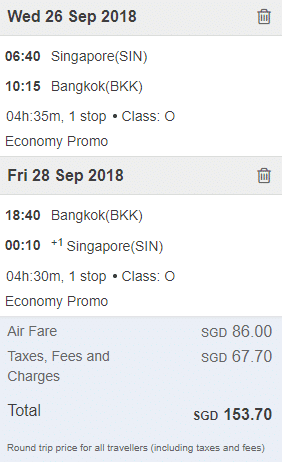 There are certainly some very good fares that Malaysia Airlines are offering with their Mid-Year Deals sale so I’ll definitely be checking those out. The ME3 airlines are all having great fares to Europe as well so do give them a look too! 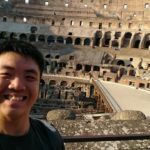 If you’re unsure of where to credit your flights on these airlines, you can always use wheretocredit.com to check which frequent flyer program would earn you the most miles for crediting your flights to them. If you’re unsure of which credit card to use to maximize your rewards from your airfare purchase, you can refer to the table below.